Twitter said Friday that Venezuela had blocked images on its service following an anti-government protest that turned bloody, and it offered a workaround for users who want to get tweets via text message on their cellphones. Hacktivists, meanwhile, defaced and knocked various government websites offline, organizing and choreographing online denial-of-service attacks that flood sites with traffic, making them temporarily unreachable. Twitter spokesman Nu Wexler said Friday via email in response to an Associated Press query that “Twitter images are currently blocked in Venezuela.” He included the text of a tweet the company sent explaining the workaround, but did not respond to follow-up questions. Users told the AP that it appeared the blockage had ended by Friday morning. They said it was most intense Thursday, the day after two students were killed by gunfire that appeared to come from government supporters. Venezuela's main telecommunications company, CANTV, is government-run and handles the overwhelming majority of Internet traffic. In a statement released Friday evening, CANTV “denied emphatically and categorically involvement in the failure” users experienced in receiving images Thursday on Twitter. Video and still images that circulated via Twitter after the killings purported to show police and pro-government activists shooting at protesters. The images' authenticity could not be confirmed. 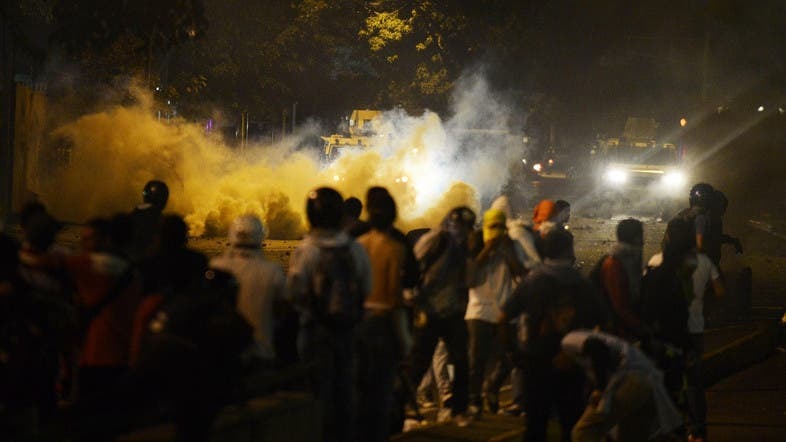 Media coverage of the protests was limited inside Venezuela, where the socialist government dominates the airwaves. Even international media faced harassment as police smashed and confiscated cameras. Venezuela's government also suspended broadcasting inside the country on Wednesday night of the regional news channel NTN24, claiming it was trying to incite citizens to overthrow the government. A Venezuelan engineering student, Andres Azpurua, said he tracked the government's blocking on Thursday of the domain twimg.com, which Twitter uses to serve up images on the social network. He sent screenshots of tweets in which authors' thumbnail images were also missing. Venezuela has been blocking websites that track the black market rate for the country's currency for months, and for some weeks late last year hindered access to the popular Bitly service that shortens Web addresses. The New York company said such restrictions had only previously been seen in China. Activists said they believe the Twitter image blocking was designed to censor images that President Nicolas Maduro's government did not want Venezuelans to see. The San Francisco-based researcher said Venezuela is in some ways more restrictive than China, India or Pakistan, closer to Saudi Arabia, Qatar, the United Arab Emirates and Kuwait because government Internet providers can selectively block access for specific customers.